With an airbrush you can apply a large complex tattoo or large tribal armband in seconds! 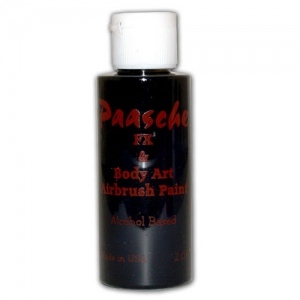 Paasche tattoo paints use only the finest ingredients and, combined with our high quality airbrushes, the results cannot be beat. Our tattoo paints are made with only F.D.A. approved ingredients and produced under lab conditions. 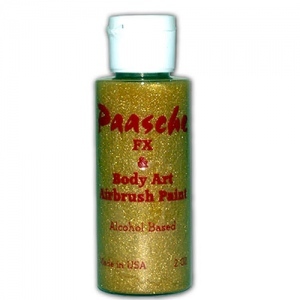 Paasche Temporary Tattoo Paints last up to a week. If a person has oily skin it only lasts a couple of days. On the other hand, people with extremely dry skin can keep the tattoo more than a week - up to 10 days. The tattoo usually starts to fade by the 5th day. Again this depends on the skin type and how well you take care of the tattoo. These paints should not be used for face painting. Available in 1 and 2 ounce sizes.